Bring a hint of luxury to your living space thanks to the Metal Table. 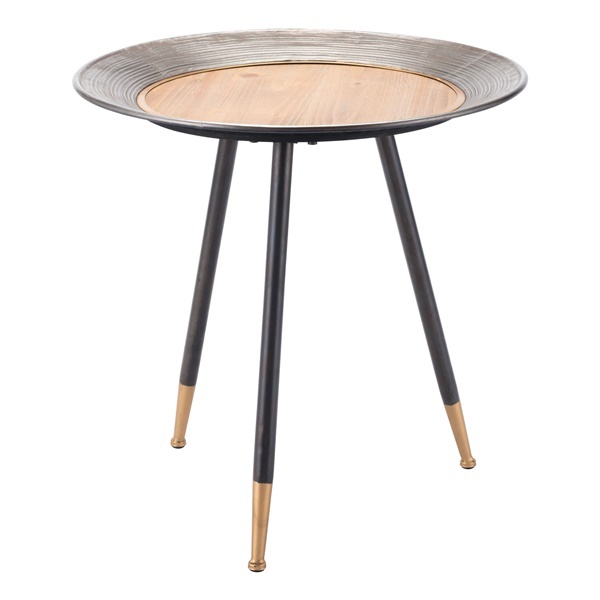 Constructed from top-notch steel, the round accent table will maintain its quality for years to come. The table features a two-tone antique finish that gives the piece a look and feel all its own. It also features coordinating slant legs that further enhance the table's appearance. Choose an accent table that combines form and function like never before � the Metal Table.